6 years & up. 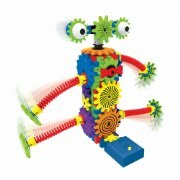 Create vehicles with turning gears that actually move! 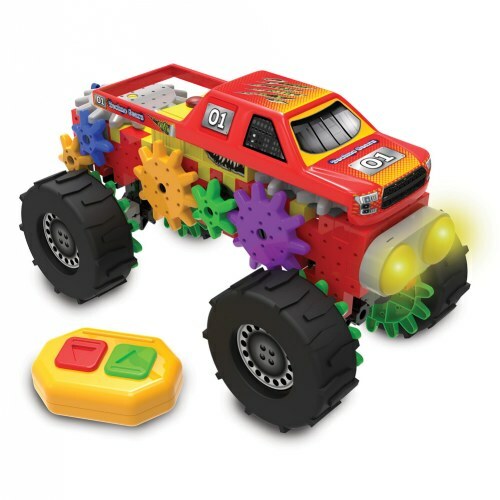 Build your Monster Truck or any other vehicle you want to create, connect the power motor, add flashing lights and sounds, and use your remote control to move it back and forth. 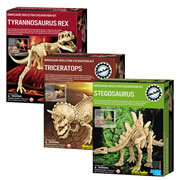 This Techno Gears set features everything you need to introduce kids to basic STEM concepts. Requires 5 AA batteries (not included). 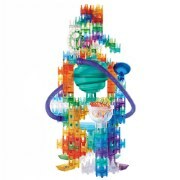 Included: 80+ Colorful construction pieces, Power motor, Flashing lights and sounds piece, and Remote control with forward and reverse buttons.